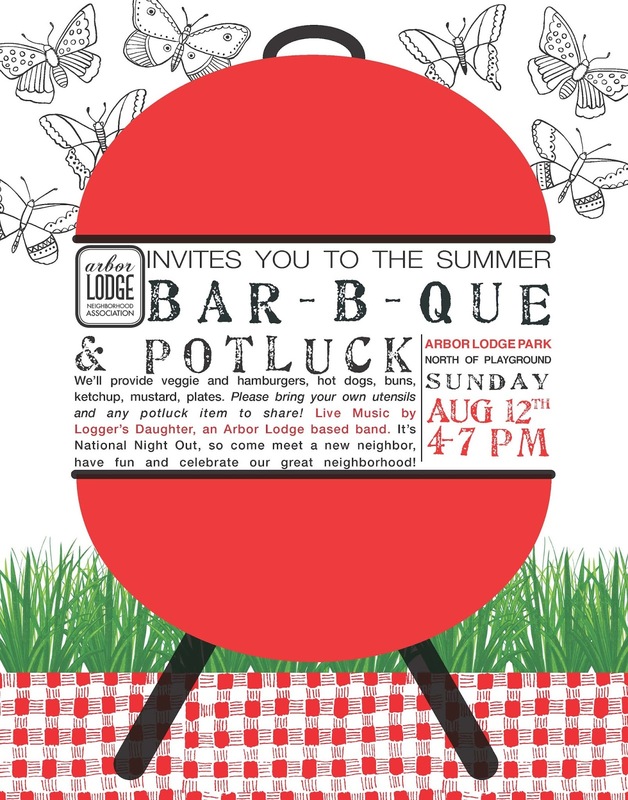 You're invited to our annual Bar-B-Que! We will provide veggie burgers, hamburgers, hot dogs, buns and fixings. Bring something to share if you can (salad, dessert, etc). No one will be turned away! Did I hear Music? YES! Logger's Daughter, a local Arbor Lodge Band will be there to entertain you. 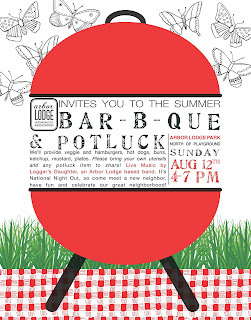 This is an official National Night Out Event. We will have some info for you from our Neighborhood Emergency Preparedness Team and others too.